A strong first impression of your brand can be achieved through a strong grand opening ceremony. With the right supplies, your grand ceremony will put a lasting impression on your potential clients. 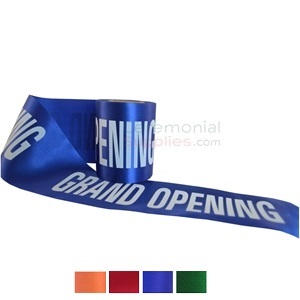 The Royal Blue Grand Opening Ribbon can very well be the perfect ceremonial accessory to guarantee you will leave your mark etched in your audience's minds. Made especially with grand opening ceremonies in mind, the ribbon is available in a pleasing shade of royal blue and comes with an attractive satin finish to catch the eye. 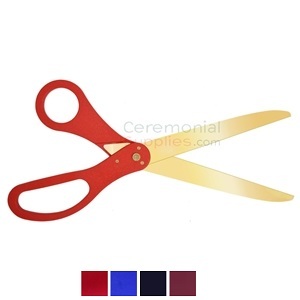 Scissors required for the cutting ceremony may be purchased separately from a wide selection at CeremonialSupplies.com.